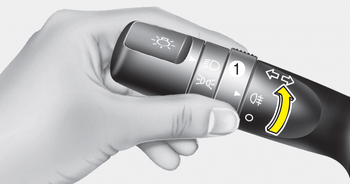 To turn the rear fog lights on, turn the rear fog light switch (1) to the on position when the headlight is turned on. Also, the rear fog lights turn on when the rear fog light switch is turned on after the front fog light switch (if equipped) is turned on and the headlight switch is in the position light position. 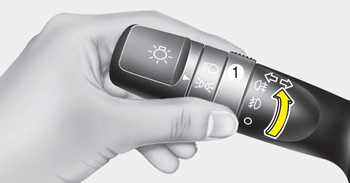 To turn the rear fog lights off, turn the rear fog light switch to the on position again. Rear fog light is located only on the driver’s side (for wagon).